Evolution of a Foodie: Birchbox and Ipsy Glam Bag Reveal Day for May! 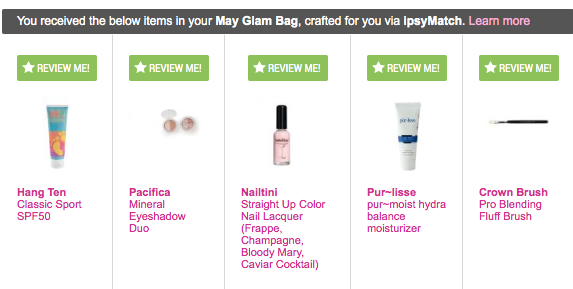 Birchbox and Ipsy Glam Bag Reveal Day for May! It's finally reveal day for Birchbox and Ipsy, usually Birchbox reveals on the 10th what you'll be getting in your box(es) if you're so inclined to spoil the surprise, but Ipsy changes the date almost always. This month Ipsy decided to reveal on the 12th, which made the weekend take forever! And this month, Birchbox had a little mishap where your box page would only load if it had shipped, and then they promised they would all load by end of day (they didn't, but many people who had their box ship late got 100 points added to their accounts). dr. brandt microdermabrasion - I've been using this occasionally in the shower, and it's ok. I don't think I would buy it, but exfoliator samples will always get used. They're not high on my skincare priority list at the moment, so I haven't ever liked one enough to buy it, but this has a really fine grit, kind of like sand, and it makes my skin feel really smooth. Supergoop! City Sunscreen Serum - I've just been keeping this in my purse because for some reason I can't find my regular Neutrogena sunscreen. But B and I bought some more so I have both now in my purse. It was perfect for the beer festival I just went to that was 4 hours of drinking outside...yeah you should wear sunscreen for that! 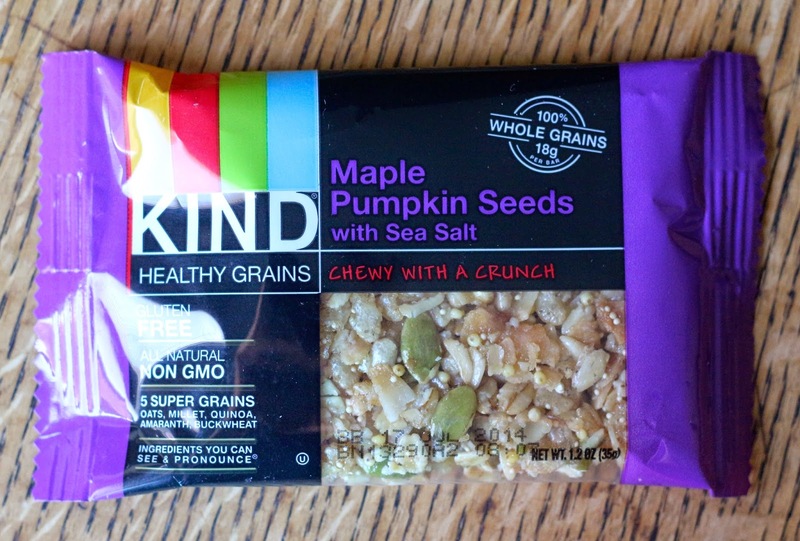 KIND Healthy Grain Bars - Birchbox sent one of these in everyone's box last month, and even though I actually really like this KIND bar variation, the flavor they sent wasn't my thing. It had a little too much salt in it, I prefer the chocolate and peanut butter ones. Paula's Choice RESIST Anti-Aging Clear Skin Hydrator - So even though this is supposed to be like a moisturizer, I found it did nothing for my dry patches on my face. It looked like it actually made them drier. Sticking with my favorite Nourish Organic Argan Serum for my face, works much better for moisturizing. Beauty Protector Protect & Detangle - I love this stuff, so the travel size always goes with me to B's place. This will always be used up! My 2nd Birchbox Account - EDIT* This finally updated! Yay Jouer I wanted to try this! Caldrea...grabby hands! Color Club pen sounds fun. Yay a Keratase for my hair! We'll see how this works on my split ends. And more Supergoop, fine by me I need sunscreen all summer long and even better if I don't actually have to buy some. My 3rd Birchbox account - More Number 4? I don't know if I'll keep this or swap it. Shaving cream will get used. 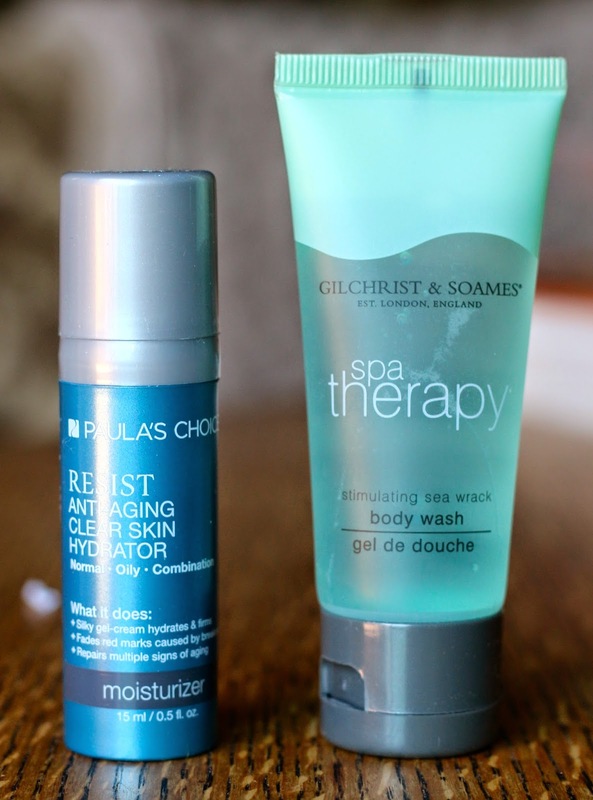 More CoTZ, it will probably have to be swapped and another email to send Birchbox. LAQA! I have seen this box on Instagram and I know for this box I'll be getting the purple LAQA which I hope looks pretty on me! I don't think I've ever worn a purple lip product. And I've heard great things about the gummy vitamins, so I'll definitely try those. Overall - I think I got a great variety of items this month, and I am really happy I got to try almost everything I wanted! The only thing I'll have to wait and see about is that CoTZ, but everything else looks great! Hang Ten - I wanted this one over the other sunscreen product for this slot, so I'll take it. It also seems like a large sample size, which I can appreciate. Pacifica - Well everyone is getting the Pacifica, but you won't know for sure which color duo you're getting until your bag arrives, so this I'll just have to wait and see. Wouldn't mind either, but I kind of want the purple shade duo. Pur-lisse - I kind of guessed I was going to be getting this, my skin type on my profile right now is set to dry. I can always use more moisturizer, so this will definitely get used. Crown Brush - Of course a sub decides to finally send me a brush right after I just bought a Coastal Scents 22 Brush Set...I fixed my profile so they won't send me tools anymore. If this isn't unique to my set, then I'll probably give it to my mom since she doesn't really have any nice makeup brushes. Some people were lucky enough to get a Too Faced Chocolate Soleil Bronzer sample in their bags, and I never thought I'd say this but I kind of want a bronzer. At the time I'm writing this, the best Too Faced code I can find is only for 20% off, so if Ipsy doesn't come up with a better one, I may have to take advantage of the 20% off to get a few things, probably including the Too Faced Milk Chocolate Soleil Bronzer (because let's face it I'm so pale I pretty much have to buy the lightest foundation/powder shade every company makes because that's how fair-skinned I am) and the Milk Chocolate shade looks like a good match for my skin tone, and perfect for my first time using bronzer. There are a bunch of Too Faced products I want, but I think I could hold myself back long enough to just get the bronzer and a La Creme Lipstick which always look so lovely in the reviews I've seen. I think I'm also going to take advantage of the Pacifica code and get a few more solid perfumes and maybe a candle. What products are you getting this month? Anything you're particularly excited (or unexcited) to try? Let me know in the comments! Birchbox is only $10 a month and they send you 5-7 (usually sample size) products. They have a great points rewards system where you can review your box contents every month, and get points that can be redeemed on the store. 100 points = $10 to spend on the Birchbox store! This is my third month with ipsy and we've been bag twins all three months! I think I must have nail polish fatigue because I am not very excited about the nailtini this month (though I'm secretly relieved it isn't adios because I have gotten SO many blue polishes in sub boxes lately). Bag twins! I think I'm getting nail polish fatigue too, I'm like ugghh Nailtini another polish that looks just like 5 others I have! I'm thinking about selling some of my unloved polish soon...who am I anymore!? Lol!